One of the most highly recommended co packing companies throughout the southeastern US is none other than Tropical Bottling. We are the copacker that beverage makers rely on for all of their beverage bottling and co packing needs, and we look forward to helping your brand streamline your beverage production processes and get your products on store shelves – fast! Not all co packing and bottling plants are the same, and at Tropical Bottling, we take pride in setting ourselves apart from our competition. We have a leadership team that has spent their entire lives dedicated to the beverage industry, and they have the experience and knowledge to help you avoid common manufacturing mistakes and expertly copack your ready-to-drink (RTD) beverage products for shipment. We are a versatile copacker that offers a wide range of co-packing services and a variety of can sizes (7.4 oz. – 16 oz.) and processes to meet the needs of a wide variety of beverage makers. We regularly bottle and package carbonated soft drinks, teas, sparkling juices, Kombucha teas, flavored coffees, nectars, flavored waters, and much more, and we are pleased to offer both slim and regular cans. Our facility is both Florida Department of Agriculture and HACCP certified. Additionally, we are a SQF Level II Certified facility, which means that our products meet or exceed some of the highest quality control standards. For more information about our copacker services, view our full capabilities or review our FAQs now. 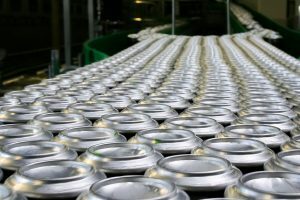 If you are a new or seasoned beverage maker who is looking for co packing companies that serve beverage brands in Florida, Georgia, Texas, Oklahoma, Arkansas and the surrounding states, contact the experts at Tropical Bottling today. We are the copacker to trust to help you affordably bring your product to market!